Hema Malini's assets have increased by a whopping Rs 34.46 crore in the last five years. 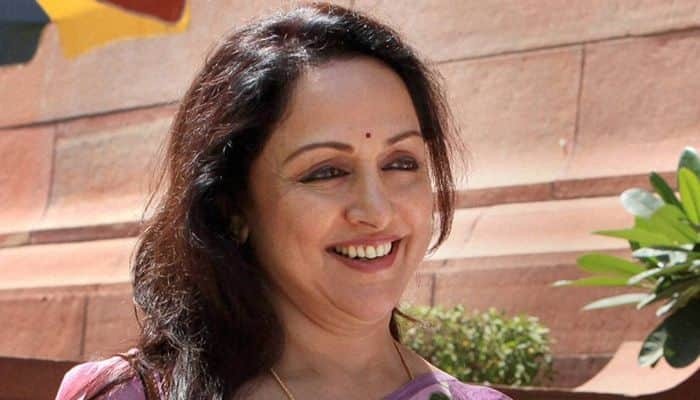 New Delhi: Sitting MP and actor Hema Malini, who is all set to contest from Uttar Pradesh’s Mathura constituency, declared her assets to the poll panel ahead of the Lok Sabha elections on Tuesday. The affidavit filed by the actor shows her assets valued at over Rs 101 crore, which includes total wealth including bungalows, jewellery, cash, shares and term deposits. Hema Malini‘s assets have increased by a whopping Rs 34.46 crore in the last five years. In 2014, before the general elections, her total assets had been valued at nearly Rs 66 crore. The affidavit also included the income tax (IT) returns for the last five years. In her IT returns, Hema Malini has shown an income of Rs 15.93 lakh in 2013-14 against that of over Rs 1.19 crore in 2017-18. The affidavit shows her income to be Rs 3.12 crore in 2014-15, Rs 1.19 crore in 2015-16 and Rs 4.30 crore in 2016-17. Apart from jewellery and cash, she has two cars, including a Mercedes bought for Rs 33.62 lakh in 2011. The other car is a Toyota that, she said, she bought for Rs 4.75 lakh in 2005. She also has a debt of over Rs 6.75 crore. The actor also gave details of her husband Dharmendra Deol’s assets and liabilities. His assets grew to Rs 12.30 crore during the last five years. Dharmendra also has a debt of over Rs 7.37 crore. A significant part of both Hema Malini and Dharmendra’s debt included a loan taken to build their bungalow in Juhu Vile Parle in Mumbai. Hema Malini was elected as Mathura MP in 2014. Prior to that, she was a Rajya Sabha MP twice, first from 2003 to 2009 and then from 2011 to 2012. She had been a member of various parliamentary standing committees, including those for the External Affairs Ministry, Tourism, Culture, Women Empowerment, among others. She has been conferred with the Padma Shri by the Union government for her contribution to the field of arts and theatre.